And here I mean the copyright-driven version of the character published by Marvel Comics, and not the original holder of the name. With this selection, I’m clearly picking a sentimental favorite book that is pretty far from being the best “C” comic out there (whatever “best” means when we are talking comics nostalgia). My attachment to Captain Marvel is emotional and multi-layered. It was reading Jim Starlin’s Captain Marvel #34 as a kid that I first understood what a dynamic and energetic form of storytelling that comics can be. I’ve written that the character’s story arc is a kind of accidental masterpiece — and I am still deeply attracted to Captain Marvel’s journey from war hero to enlightened man of peace. I have an unaccountable nostalgia for Cap’s white-and-greens phase (and was re-reading and enjoying those stories just a couple weeks ago). I also love the Marvel “Cosmics,” and along with Warlock and the Silver Surfer, Captain Marvel is the torch-bearer for that particular superhero comics subgenre. Nah, I’m just hooked on this hopeless character. I don’t even get the satisfaction of seeing him get a movie (that’s going to be the other Captain Marvel — and that’s fine, I like Carol, too). It’s not convenient, it’s not easy to explain, it doesn’t make sense, and I’m sticking with it. Captain Marvel is my man. May he rest in peace. Tell me your “C” stories, in the comments section below! Out Of The Holocaust — A Hero! 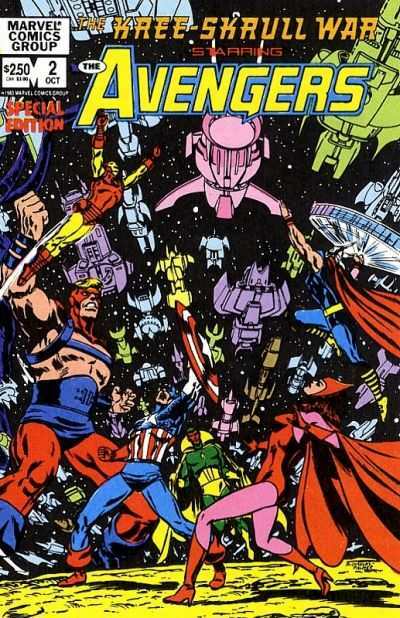 Check out the complete Longbox Graveyard Comics A-To-Z HERE! Welcome to the latest (and last!) installment of Super-Blog Team-Up, where I and a dozen other intrepid comics bloggers all take on the same subject. This time, we are looking at death, both for pop culture characters and for the Super-Blog Team-Up itself, which meets its demise with this installment! I’ve selected the Death of Captain Marvel for my topic — Jim Starlin’s 1982 send-off to the throw-away character he had made relevant a decade before. This was a sixty-six page stand-alone volume, the first in a series of original graphic novels published by Marvel, and while this is a talky and sentimental book (just this side of maudlin), it is still a good read, and particularly meaningful to me, Captain Marvel fan that I was. 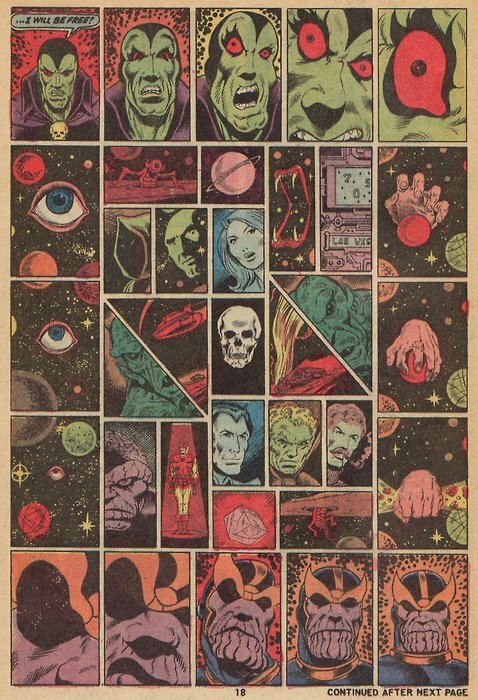 No one got Captain Marvel’s life better than Jim Starlin, and I can’t imagine anyone doing better with his death. Starlin is all-in, here, kicking things off with a Captain-Marvel-as-Pietà beneath a title that leaves no doubt how this story will end up. But how do you build tension in a tale where the outcome is known from the start? By setting out the emotional stakes, of course. Just as in any other superhero book, where we know the good guy will triumph over the big bad (but don’t know if they will get the date with their best girl), here we know that Marvel will die, but we don’t know how it will happen. Most importantly, we can’t anticipate how the Captain will face his own death, though we might have guessed. It turns out that Captain Marvel died as he lived — with grace and uncommon understanding. First, though, we go back to the beginning, as Starlin opens with a cogent summary of Captain Marvel’s career, framed as a recording Marv himself is making for posterity. It’s sad to realize that many readers might have been coming to Captain Marvel for the first time here, expressly to witness his death, but I guess that’s what you get when bumping off a low-sales C-lister. 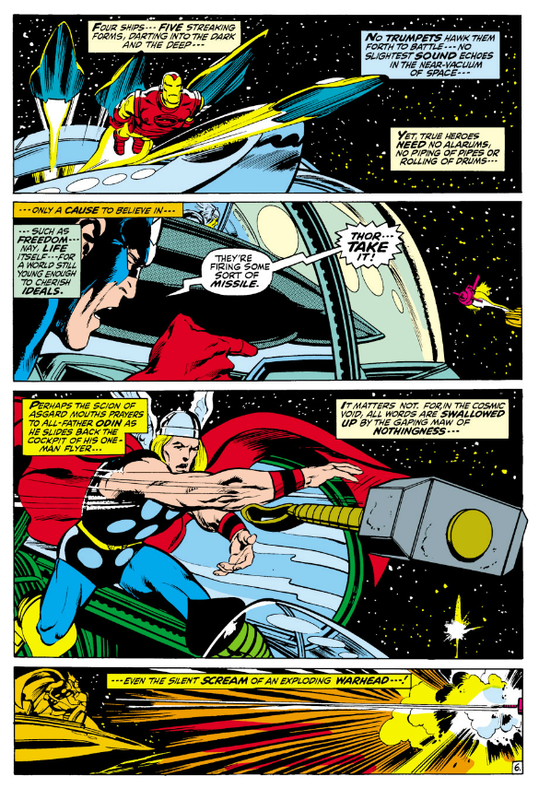 Even for fans of the character, though, Starlin’s summary is strong reading, nicely condensing the character’s origin and hitting the high points in his unique career — telling how Captain Marvel turned against his Kree overlords and went native on Earth; how he received Cosmic Awareness and became earth’s protector, and how Marvel and company triumphed over Thanos in final battle (for the time, at least). 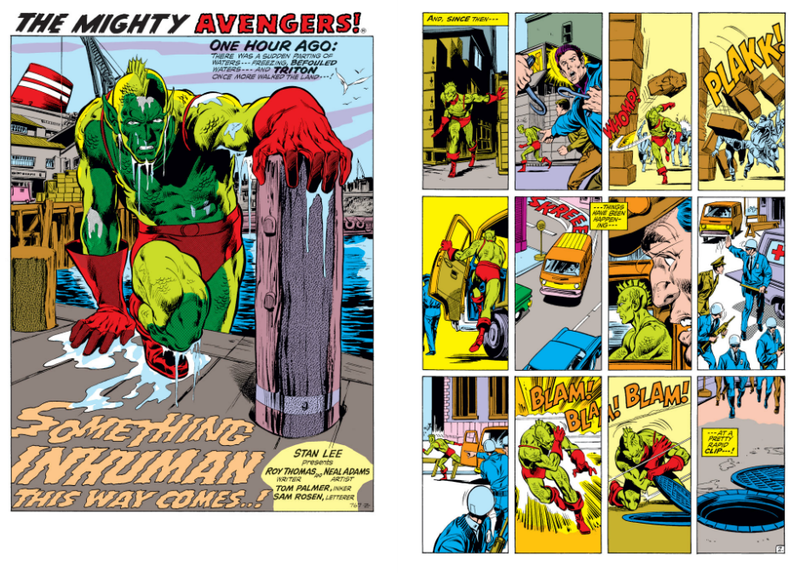 Ol’ Marv sure had his share of colorful foes! Then there’s a bit of action — because this is a comic book, after all, and Starlin always made sure even the most cosmic threats could be undone by a punch in the mouth. This time it is cultists worshipping Thanos’ turned-to-stone body. 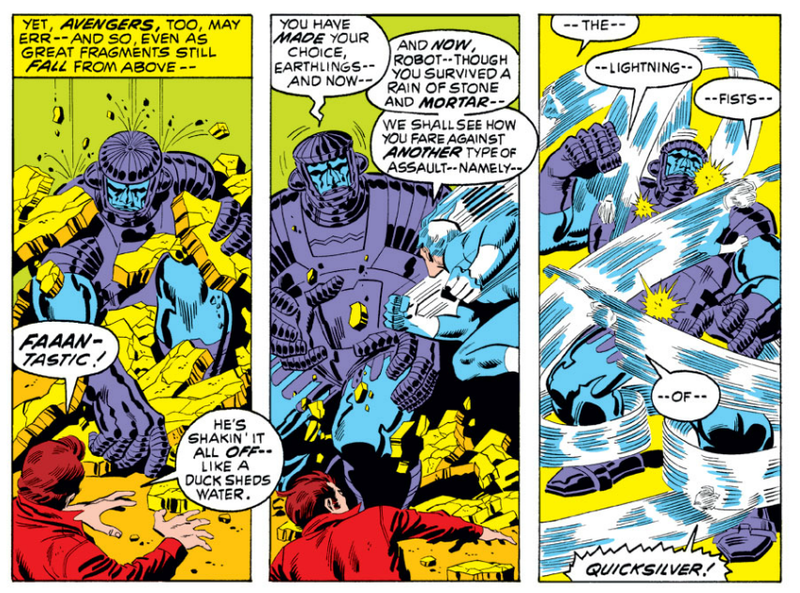 Marv makes short work of them, and even this action sequence crams in talking in this very talky book … in this case Marvel’s thoughts as he battles, nicely illuminating what makes him different, that he uses his cosmic powers to anticipate his enemies and to defeat them with a minimum of violence, and certainly no loss of life. 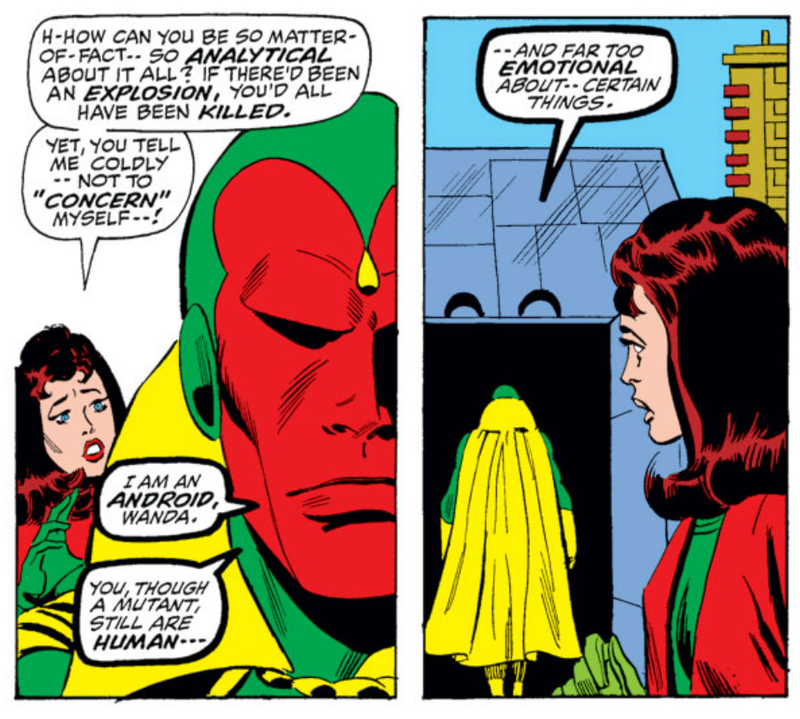 It is Captain Marvel at the height of his powers, and his most self-aware. It is also his final fight in this earthly realm. It is in the aftermath of that battle that death begins to claim Captain Marvel. You know how it is in old movies — that no one has a cold, unless it signals the onset of a fatal disease? And a page later, the fatal diagnosis. A bit more backstory reveals Marvel was inflicted with his disease from exposure to Compound-13 while battling the villain Nitro, in a tale that marked the end of Jim Starlin’s run on Captain Marvel, and in which Starlin left the Captain for dead. Well, it only took a decade, but Starlin got his way! 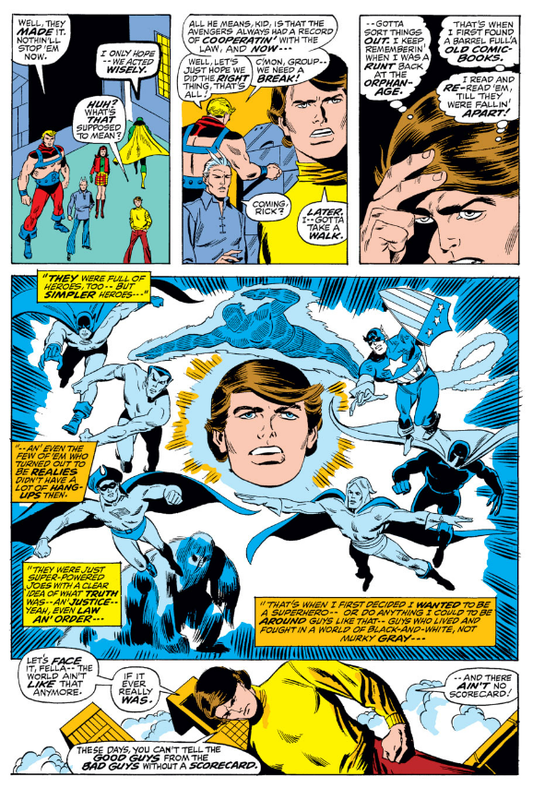 With his death all but certain, Marvel goes on his farewell tour, breaking the news to his lover, Elysius, and then to his old partner, Rick Jones, who does not take the news well. Those characters do join in the attempt to devise a cure, but the medical race-against-time is a subplot doomed to fail, and not just because Starlin gave away the conclusion of this tale with the title. In short order it is discovered that Captain Marvel’s photonic Nega-Bands are all that is keeping him from dying on the spot, but that those same bands inhibit any treatment the heroes might devise. The clock is ticking down with no real hope of a cure. … but more than any individual interaction, I loved this part of the book because it let Starlin fit Captain Marvel into context, to show how he was a special and important force in the lives of everyone in the Marvel Universe. 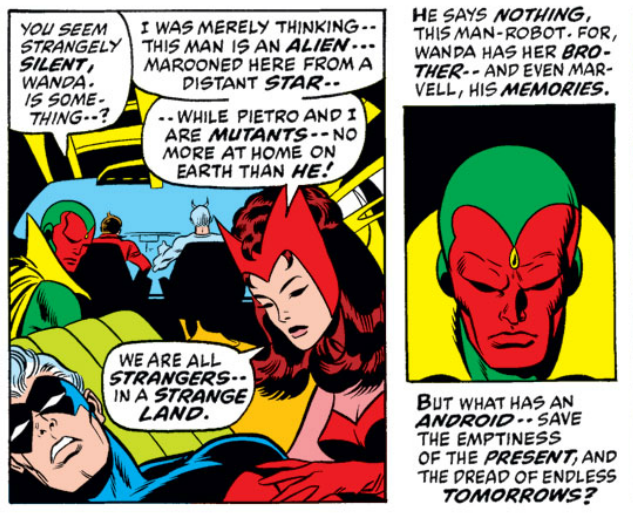 He drove home the emotional void that Marvel would leave in his passing, and made that so much more important than all the goofy super villain fights and team-ups that comprised the Captain’s career. 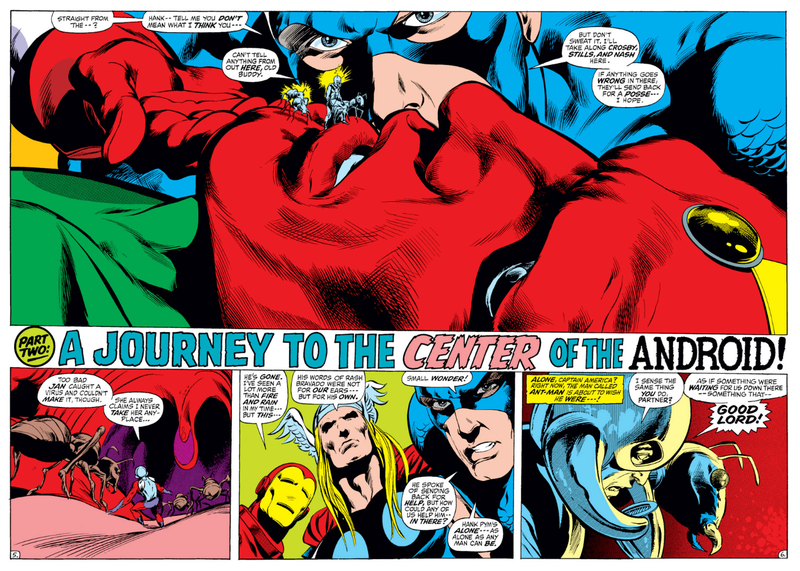 Seemingly every hero in the Marvel Universe made the pilgrimage to bid the Captain goodbye. And with Captain Marvel on death’s door, it is inevitable who would visit him last! 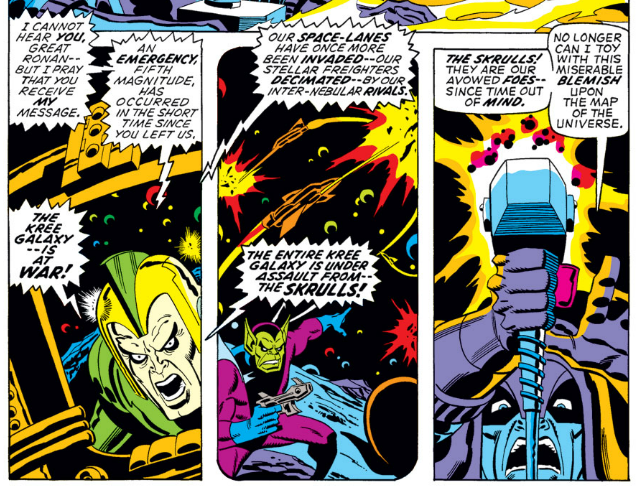 In the theater of his mind, Thanks restores Marvel to health, and sets up one last battle. The fight only runs a page or two — and it’s no time-mind synch-warp — but it does let Marvel go out on his feet, battling back against Thanos and his phantoms, and allows Marvel to accept that he is finite, and that even the best of the good fights must one day come to an end. With that, he is gone, putting a bookend on what I’ve previously argued is an accidental masterpiece, a superheroic career with a genuine beginning, middle, and end. Marvel’s death was touching, and it elevated everything that came before. May he remain dead! With other characters carrying on his trademark-sensitive name, there’s every reason to believe the Captain can remain at his well-earned rest. Plus, this Kree Captain Marvel doesn’t have to be alive to remain a fictional force in our lives. His life (and death!) live on through stories that are made more poignant by his eventual demise. Re-reading these stories, in particular, has been an illuminating experience for me. A prime mission of Longbox Graveyard has been for me to revisit the pleasures of my youth, to try to fit everything into some kind of nostalgic higher purpose. Captain Marvel’s stories haven’t always fared well on re-examination, but the point, really, isn’t to determine if something was good or bad, or worthwhile to have read and obsessed over. Re-reading these old tales is its own reward. Not because (as I once read somewhere) the stories have changed any since we read them last, but because we readers have changed. The twenty-year-old me who first read this tale in 1982 is a distant shadow to the fifty-five-year-old-me typing these worlds, but I can remember feeling sorrow for the Captain’s death, as well as an insider kind of cool for being an original fan of the character, who didn’t need a summary of his adventures. And I can well remember thinking that death was a far-off thing that I would somehow, impossibly, never have to face, just like the good Captain himself. At this time in my life, death is real. The best friend of my youth that I read these stories with was claimed by cancer just a couple years ago. I am (I think) in good health, with many years yet to live, but as a male in his fifties still working full-time to support his family I am well aware that I walk in “sniper alley,” with heart attacks and strokes and yes cancer too watching me through the crosshairs. I take comfort in knowing I’ve lived a good life and my passing would be mourned by many (maybe not including Spider-Man, but you can’t have everything). Still I value my life more now than I did in my twenties, and would more greatly regret giving it up, not being able to see what became of my sons, or what children and art they might bring into this world. A fatal bolt from out of the blue would free me from the agony of U.S. politics, and Kim Jon-un’s sparkly new ICBM, and also relieve me of the duty of figuring how to bring Longbox Graveyard to a close … but aside from that, I’m not seeing a lot of upside. So I wish myself long life, and long life to all my Longbox Graveyard readers, and when our end comes, may we greet it with the spirit of Captain Marvel, the peaceful Kree man of war. Retroist: These Pirates Of The Caribbean Models Are To Die For! As for whether this marks the end of Longbox Graveyard … well, you have to admit, it is the perfect opportunity, isn’t it? Maybe I’ll be back next month. Regardless, thank you for reading, and for your many thoughtful comments through the years. Be well! NEXT MONTH … maybe there ISN’T a next month! I still think that Ms. Marvel deserved better, but I have to admit that Carol Danvers has done pretty well by herself. The character has developed a rich history all her own and she’s even got a movie on the way. 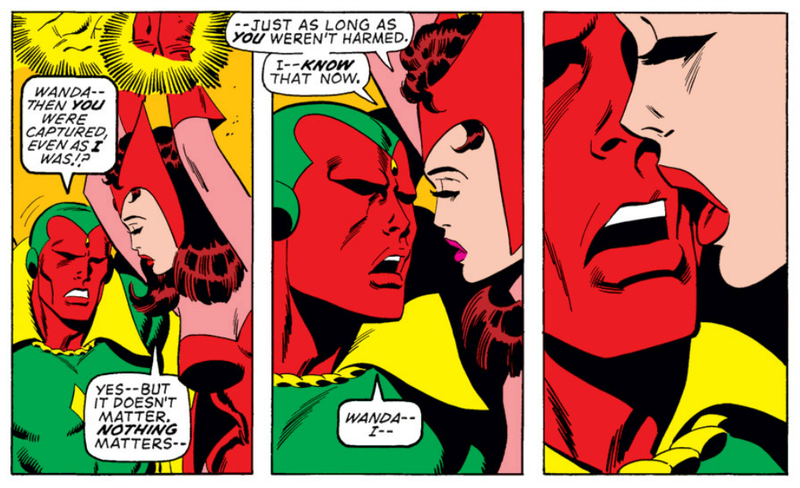 Carol owns the Captain Marvel moniker, now, and so my beloved Kree Captain can rest in peace. In her newest series, Captain Carol reports for a two-year hitch aboard a space station that protects earth against galactic threats. Her new post has a flight deck filled with space fighter craft (piloted by Alpha Flight, of all people), a meditation room, a co-ed locker room, and a serving commander who doesn’t think much of our hero. Authors Michele Fazekas and Tara Butters write Carol as confident and brash in a career-military sort of way, and they let her attitude lead her into trouble. The writers come from television and this shows in the dialogue (this is not a bad thing). Kris Anka’s art is better than his recent stints on X-Men, but isn’t equal to the script. With a location and title character in common with A-Force, I would expect some tight continuity with that other book, but we will have to see how that plays out. Pretty decent. I don’t know how Alpha Flight got aboard that space station (or even where the station came from), but as a first-day-on-the-job story, it feels more like a #1 than many books in this Marvel reboot. Read more capsule reviews of Marvel’s All-New All-Different rolling reboot. Speak the magic word with my Shazam Gallery on Pinterest! Read Dean Compton’s column about Captain Marvel — Shazam! The Power Of One Magic Word. 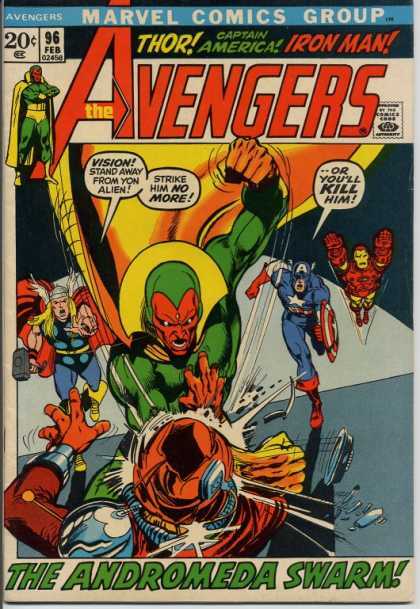 (View all Longbox Graveyard Pinterest Galleries HERE).